Jamie, originally from the seaside town of Brighton in the UK, has been living in the Netherlands for the past 15 years. Jamie discovered his love for electronic music at a young age. When he was 15 he managed to get his first set of record decks and since then has never looked back. He has a broad taste for music listening to many different genres but electronic music is his passion. 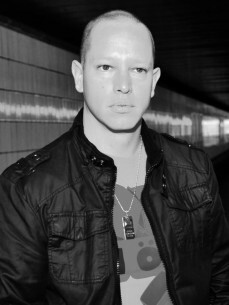 His love for deep, groovy, raw techno is clear to see when he gets behind the decks. Dance or go home is the motto! Since the start of his solo career in 2013 Jamie has been on a roller coaster ride. His productions are getting worldwide support from the likes of Adam Beyer, Joseph Capriati, Marco Bailey, Paco Osuna, Balthazar & Jackrock, Spartaque, Ant Brooks, Fractious, Roger Sanchez and many more. Jamie has releases on some of techno’s most well supported labels as Funk’n Deep, Natura viva, Groovant Music, Renesanz, Jumpstereo, Comade and Panterre musique.